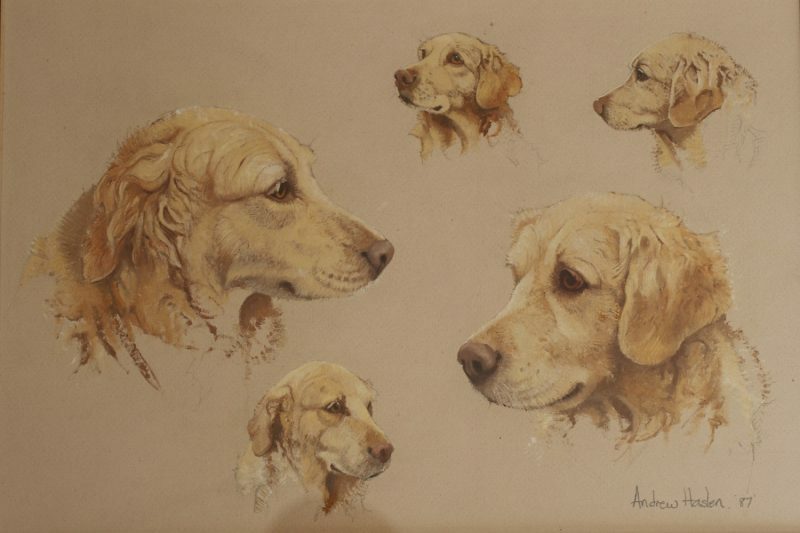 Andrew Haslen, born in 1953, has lived and worked all his life in East Anglia, and from an early age began painting wildlife subjects. While he prefers using watercolour, he also works with other mediums including oils and is particularly well-known for his large-scale, hand-coloured lino cuts of British wildlife. Although his preferred medium is watercolour, he also paints using oils and produces linocuts, screenprints and sculpture. Living in the countryside, he enjoys watching and illustrating the wildlife he encounters and has planned his garden with wildlife in mind, leaving areas to go wild, and planting trees and digging ponds. While Andrew’s work is always wildlife-related he has particular passions, one being hares. Always intrigued by the behaviour and mythology surrounding hares, Andrew had the opportunity to rear leverets when he was presented with orphans not knowing where they came from. This resulted in his recent book: The Winter Hare. He also loves painting birds with colourful plumages such as woodpeckers and kingfishers.